Meet the guys behind one of the cutest games on the App Store. Oh, and it's fun to boot. 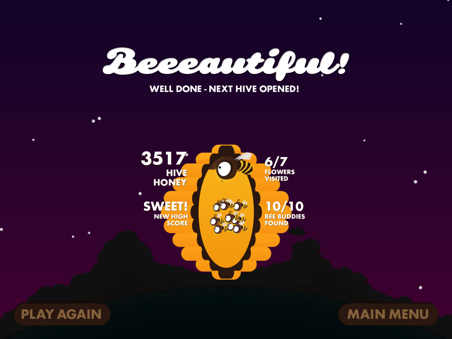 We love App Store games that are both visually stimulating and user friendly, compliments that we're happy to bestow upon Bee Leader, a cute and challenging title from Flightless Limited. 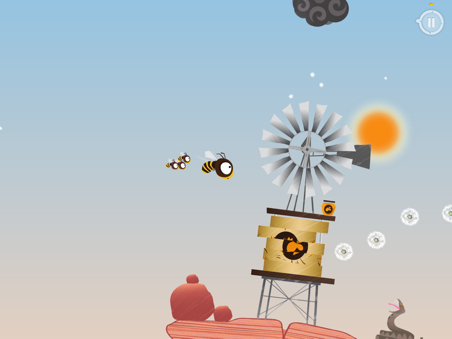 Released in May, the game let us take a breather from all those copy cat mobile games, instead opting to control a bee as the happy-go-lucky insect explores different environments gathering tinier bees and making honey. On that note, we had a chance to talk to the creative gurus behind the game, Greg Harding and John O' Reilly, who both shed light on the development process, what went right and what needed fixing. Where did you get the inspiration for Bee Leader, and why did you choose bees? Don't you know that birds and zombies are all the rage these days on mobile? The inspiration for Bee Leader came from a few places. 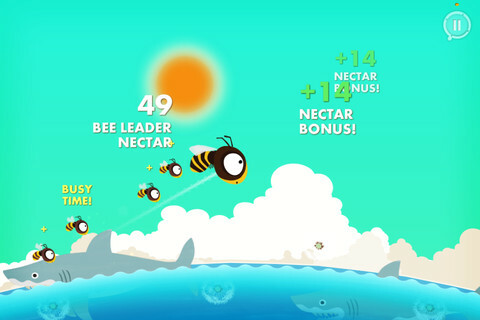 The theme of the game evolved from an awareness of the current plight of bees worldwide, colony collapse and the importance of bees to humans. We wanted to use this awareness and some of the ideas in a game, but also wanted to avoid being too heavy-handed with them at the same time. The gameplay concept was a combination of a few other prototypes we were working on. We had some design ideas and some engine ideas, and one evening, we put a couple of them together and both instantly knew that we had to make it. We focused on keeping the design and game experience simple and not rushed, giving players a chance to explore and have fun without being hurt. The result is very friendly and quite charming, but we also wanted allow players to do better as they learned some of the simple systems in the world, like finding buddies and returning to the hive during the day. Like everyone else, we're aware of current trends, like the endless running zombie match-3 apocalypse, but we were happy building something that felt a little unique on the App Store. The game has more control schemes than many competing iOS titles. Was that something you intended to have from the beginning, and what drove you to come up with different methods for tilt? From the beginning, we wanted the game to be a universal title, and for the experience to be the same on all devices. It was relatively easy to support multiple control methods, so we built them into the game from the start. Experience and feedback with our previous titles shows that no matter how much you try, it's very hard to keep everyone happy. So, we wanted the choice of controls to be a non-issue and provided joysticks, touch and tilt. Because of the way we'd built things, it was easy to add joypad support near the end of development as a remote/network control (replacing our own network controller). To keep things simple with the tilt settings, we avoided any kind of self-calibration and used some predefined rotations instead. What are you the most proud of with Bee Leader? What did you guys really get right with this game? It's tough to single out particular features we're most proud of, as we worked so hard on everything. We're really proud of the overall design. It was a detailed process right from its inception in terms of defining an overall style. We took an almost branding project-like approach to everything, from character development, typography and color palette, right through to icon design and the menu system. It's helped to keep everything throughout the development aesthetically on track. We're happy with our decisions to keep everything so simple. It's great when people take notice and comment on various features we wanted to get right. The concept of the mini-world has worked really well, and has helped keep the overall game design feel unique. We purposely avoided using a static HUD/UI area telling players everything all the time. There's precious-little screen real estate for the iPhone, and we wanted a more inclusive way of displaying scores and feedback. We think it worked out really well, and even if the messages stack up from time to time, they feel like they're part of the central character, so there's a tighter connection between what you're doing and what the HUD is reporting. Also, we're humbled by the amazing response to our launch trailer for Bee Leader. It certainly helped the game get noticed, and the feedback has been awesome. Conversely, what needs fixing? Did some ideas get left behind? While reviews and feedback have all been great, we know that there are a lot of players who really don't like the floaty controls in the first release. We got the message loud and clear, and immediately tweaked them in a v1.1 update. The frustrating part for us is how long it's taken to get the update approved and released. Plenty of ideas for levels and components got left behind for the first release. Given the way we built the game engine and menu, it's relatively easy to add game content, so we'll try to add some of these ideas for levels and bits and pieces in the next few updates. The first four worlds are different, but obviously all follow the same gameplay theme and pacing. We've got a few ideas for different styles of gameplay that we'd like to include in some updates as well, hopefully giving players more challenges without straying too far from the original game design. While on the subject of future ideas, what are the DLC plans? We only have four environments to play with. Do you know which direction you're headed with updates? It's interesting trying to balance the amount of content vs. development time and effort for the first release, particularly as an indie developer. We could have built game worlds forever, but we wanted (and needed) a good line in the sand to release with, and we think we've hit a good sweet spot, especially given the game's lowest tier price. Almost everything we've heard so far has confirmed our decision and has hinted at rather than demanded more content, which is nice. As mentioned earlier, we're going to release a few more levels that include some ideas and content that didn't make the first release, and also contain a few different types of gameplay without going too crazy. We're also going to release a special treat for everyone that loved our launch trailer so much. Away from DLC, we're working on t-shirt and poster designs, amongst some other little ideas that we hope see the light of day. How many people worked on this game, and if you don't mind our asking, what was the development cost? Did you considering using Kickstarter to fund the project? Two of us built Bee Leader (one design, one tech) with a bit of illustration help from time to time by John's partner, Ali Teo. We'll keep the development costs to ourselves for a few reasons, but trust us when we say we put a lot of time and effort into the game, and although we'd love to, we're not in a position to repeat that with another title just yet. The Kickstarter-type funding model wasn't as popular back when we started development, but may have been an option if we'd started a bit after we did. However, we're not sure that the project on paper would have been overly supported by a funding community that's reasonably focused on experimental gameplay or perhaps somewhat more grand ideas. We really tried hard to keep the experience and pacing simple and accessible, and with the design styles we had for the game, it might have been dismissed as just too simple to back with crowd funding. Based on the various control schemes, could you see Bee Leader on different platforms like the Wii U? We think that both the theme and simple gameplay mechanic are easily portable to other platforms. It's a matter of time, effort and cost. We're not in a position to do a bunch of ports to various platforms ourselves, but we'd love to see Bee Leader in a few other places, and we'll try as hard as we can to make it happen. We'll get a few updates out with levels and different gameplay and see how the community reacts. If there's enough interest or demand from other platforms then it's a no-brainer to take a closer look at them.